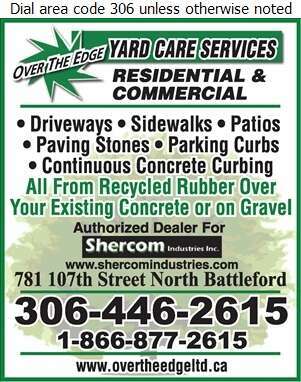 Over The Edge Landscaping has been providing North Battleford professional services since 2001. We are more than just a landscaping business as we have diversified into providing many services. 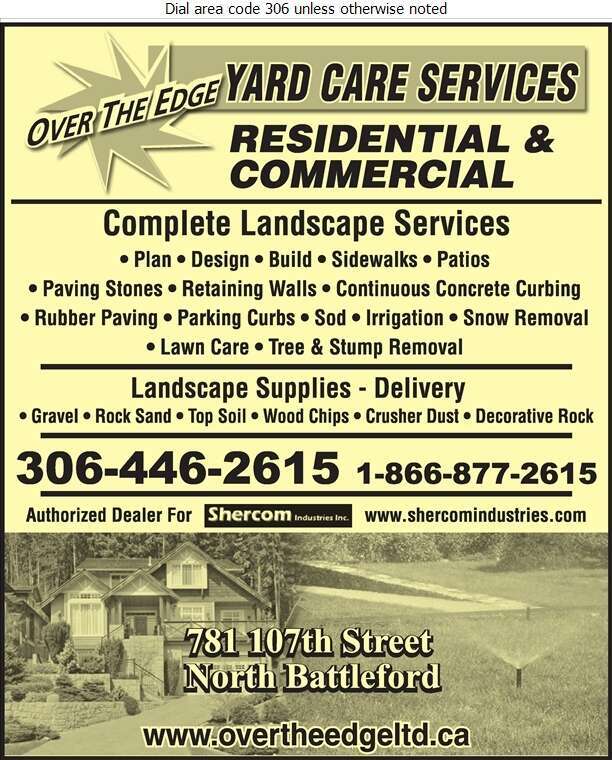 Our services include landscaping, irrigation, rubber paving, snow removal, lawn care and tree removal for both residential & commercial applications. With our extensive set of equipment, we can handle any project that you propose to us! Our experienced team has developed a large portfolio of proven successful projects and we are proud to provide quality work to our clients. Contact us and we will provide a free estimate for your prospective plans.